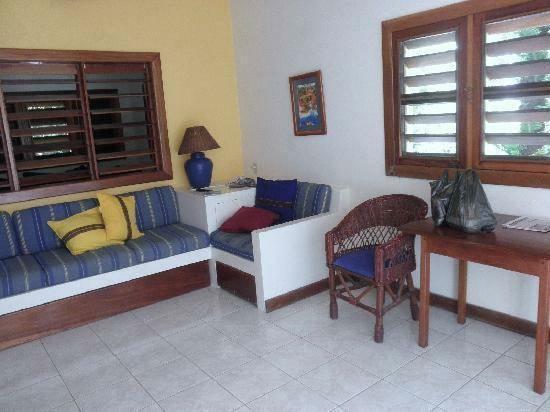 ﻿ Best Price on Caribbean Villas Hotel in San Pedro + Reviews! Caribbean Villas Hotel is far enough from San Pedro Town to preserve your peace and quiet but a 10 minute walk along the beach will take you to San Pedro with its quaint shops, many restaurants and nightlife. 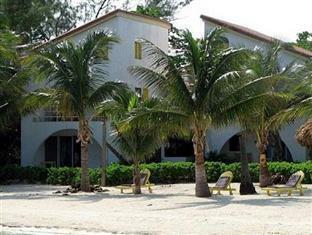 With comfortable rooms in 2.5 acres of gardens, this Oceanside hotel is fronted by 250 feet of private sandy beach and featuring 2 ocean front fresh-water pools and the friendly AMBER Beach Bar & Grill serving Breakfast, Lunch and Tropical Drinks all day.. All rooms and suites are air conditioned and have their own private entrance. 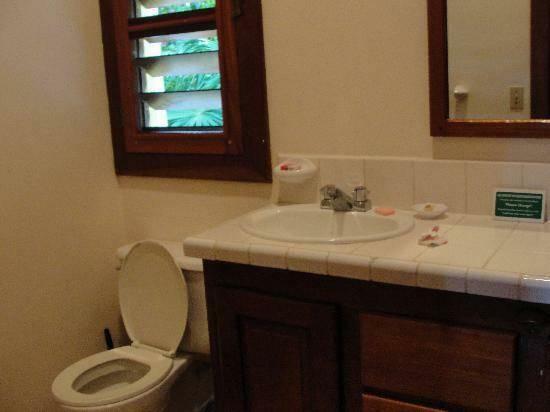 The bathrooms are private, have showers and free toiletries. You can snorkel at the artificial reef located at the end of our private 300 foot dock. Tour boats will pick you up from the dock to take you snorkeling, diving, manatee watching, cave tubing or to visit Mayan ruins. San Pedro Airport can be reached in 5 minutes by car, and Holchan Marine Park is 3.1 mi from Caribbean Villas.